It was not long ago that supermarket giant Tesco, was in dispute with the manufacturers of Marmite, Unilever, over significant price increases. All blamed on the Brexit vote. Now the high street store is 'calling time' on a number of popular beer brands after brewing firm, Heineken, announced price increases. 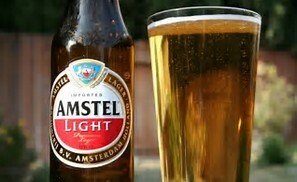 Amstel and Sol beers are being axed by Tesco and other Heineken brands are being given 'last orders' as they start to disappear from shelves. 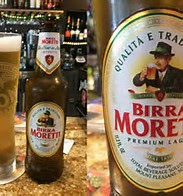 The brands include Tiger, Birra Moretti (one of my favourites) and Kingfisher. Ranges sold under names such as Foster's, John Smith's, Kronenbourg, Desperados and Heineken itself, will be reduced. Ciders, including Bulmers and Old Mount will also be scaled back. 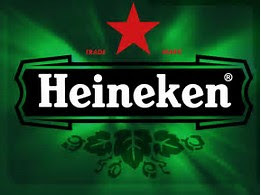 The number of Heineken products Tesco sells will fall from 53 last January to just 22. The Dutch brewer put up their pub prices by 6p per pint in January, citing rising costs that it could not absorb and it is claimed that Tesco decided to cut the Heineken range rather than accept similar price rise demands. While you can only admire the renowned supermarket company for standing-up to supplies who are increasing costs on the basis of Brexit, this cannot be the whole story as a number of these beers are brewed in the UK. If they make products here in pounds and they sell them in pounds, it doesn't automatically become more costly. While Heineken has not directly blamed the fall in the pound following Brexit, for the price rises, the currency fluctuation should only be a small factor. So what's the reason? Tesco are reported as saying that the decision to cut Heineken products is part of a routine review of products, but at the same time the supermarket has increased the range of craft beers on its shelves which The Grocer Magazine says are proving increasingly popular among UK beer drinkers. Well done Tesco, I say, but where on the high street will I buy my Italian beer?